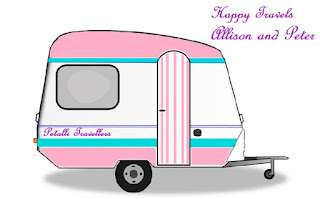 We stayed at all three free or donation camps near Ballarat, and this third camp at Haddon, is where we met up with fellow caravaners, Caron and Pete. We first met Caron and Pete in Maclean, NSW over a year ago, and we have kept in touch. It was great to catch up with them again, and as we are both planning on the same places at roughly the same times later in the year, we are sure to catch up again. 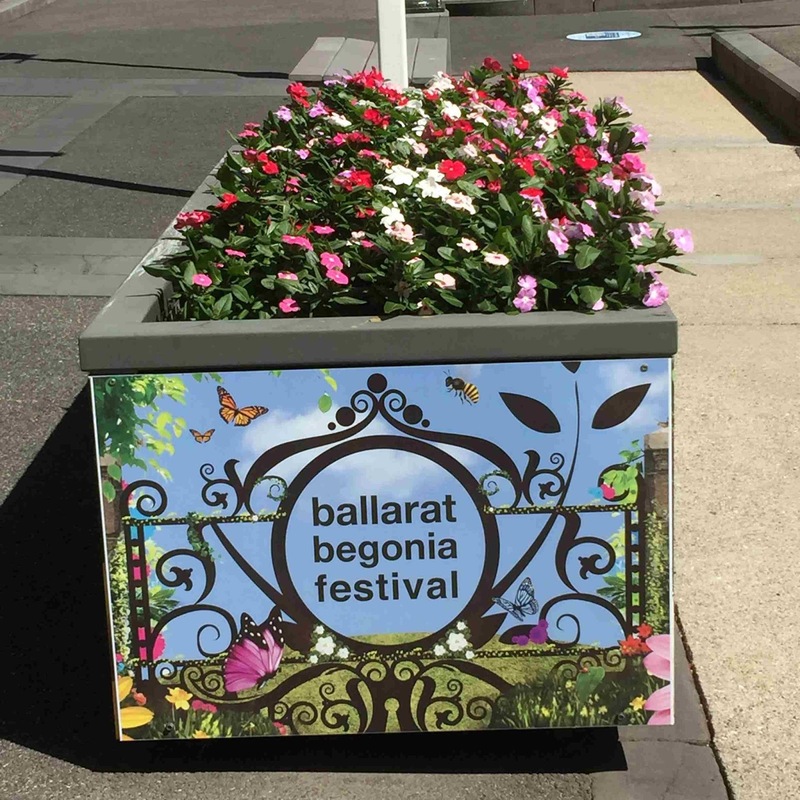 Ballarat has two festivals this time of year: Begonia Festival, and White Night. White Night is like Sydney's Vivid, and it covers the historic city centre area. We thought about going as we were here on the night, but the cold and the crowds put us off. 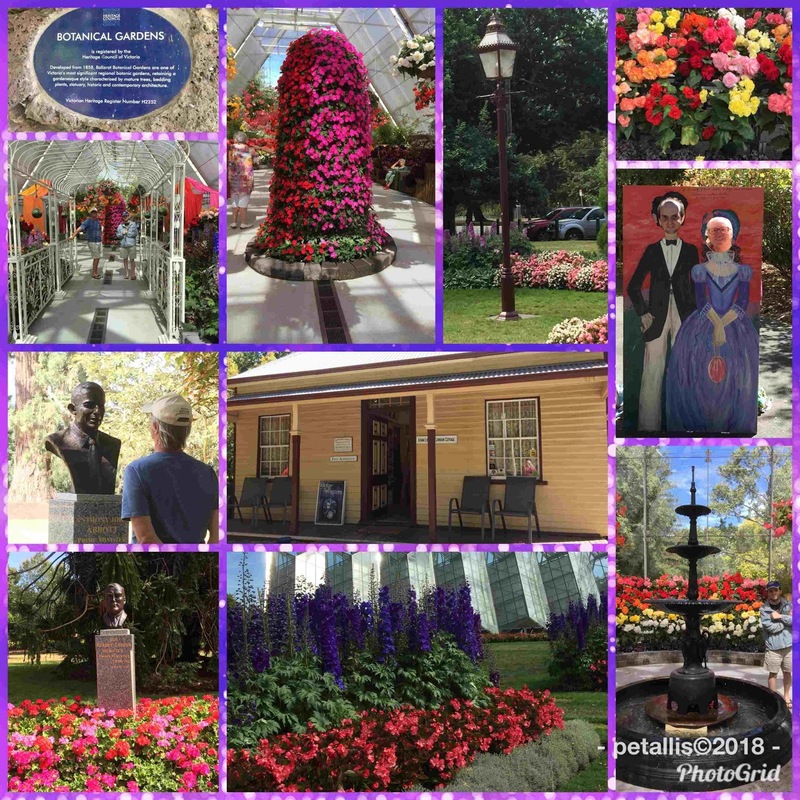 We did go to the Ballarat Botanical Gardens. The first week we were in Ballarat was just before the Ballarat Begonia Festival and most of the gardens were closed to set up, so we came back a week later. So glad we did. The gardens were beautiful. 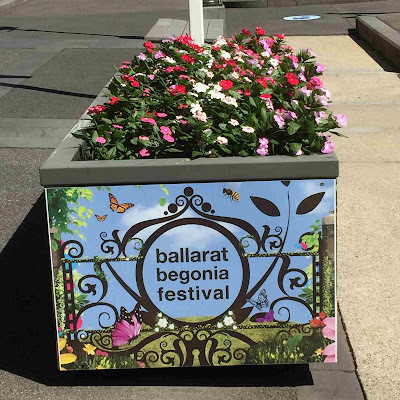 The Ballarat Begonia Festival is held every March and is free. The Festival has food stalls, live entertainment, talks, markets, and heaps of activities for kids. A bonus during the festival is free park and ride, and free vintage tram rides. 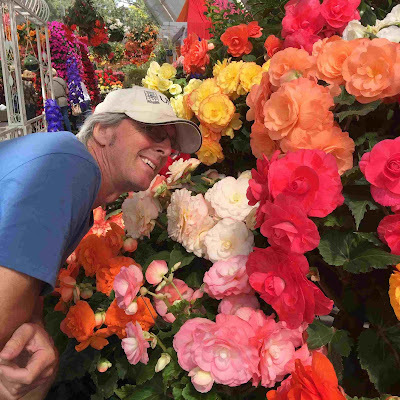 We were fortunate that the main begonia display was still there. We have never seen so many huge begonias. With the discovery of gold in 1851, the area grew rapidly. In 1856 a committee was formed to create a botanical garden, and in 1858 the old police horse paddock was converted the gardens. The 40 hectacre site was divided into three sections:- the central planted section; and a clear open area each end. There was once a zoo also located there. 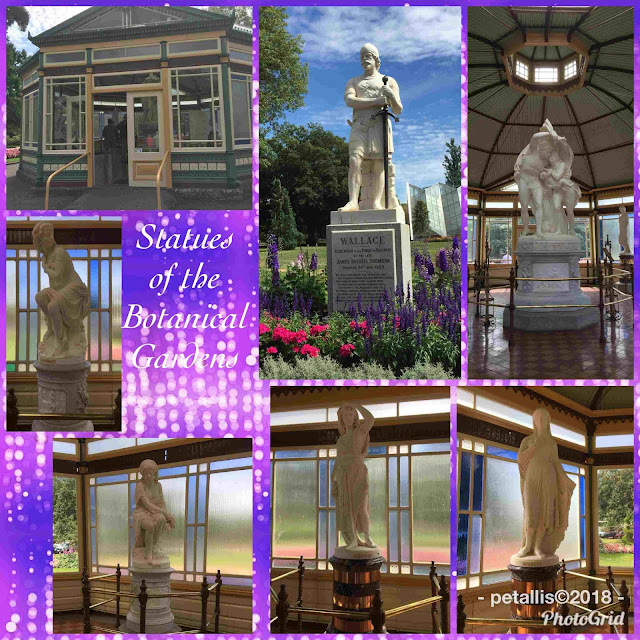 The gardens have lovely statues – Ballarat is known as the city of statues – all with a story. One of the statues is of William Wallace depicted standing on Abbey Craig in Stirling in 1297. It was meant as a tribute to James Russell Thomson and his Scottish heritage, and at the time of its creation in 1889, it was believed to be the biggest statue in the Southern Hemisphere. There is a display of 12 white marble statues that came from Italy in 1884 and were gifted by Thomas Stoddart. 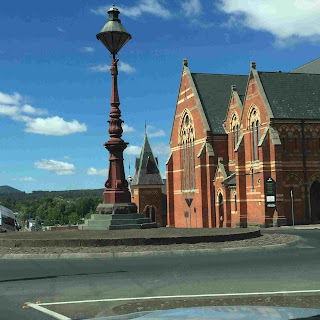 It was his gift that inspired many others to follow making Ballarat a city of statues. Also of interest is the Avenue of Prime Ministers. Some were very recognisable and others not so. One needs to get the free brochure available at the gardens to get more detail of each Prime Minister. The most moving part of the gardens was The Australian Ex-Prisoners of War Memorial. 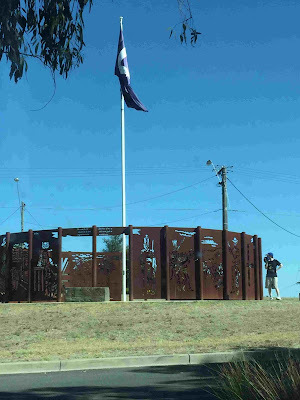 Located just inside the gates at the southern end, the memorial was officially opened in 2004 and contains all known names of Australian POW's from the Boer War - 193; WW1 – 4,220; WW2 – approx. 31,600; Korean War – 31; Military Nurses – 61; and Merchant Navy – 245. It was a very moving place and so beautifully done. All is made of stone and water (sadly most of the water has been turned off – drought). There is a log pathway with stone on one side and native plants on the other. The stones list the names of the POW's. 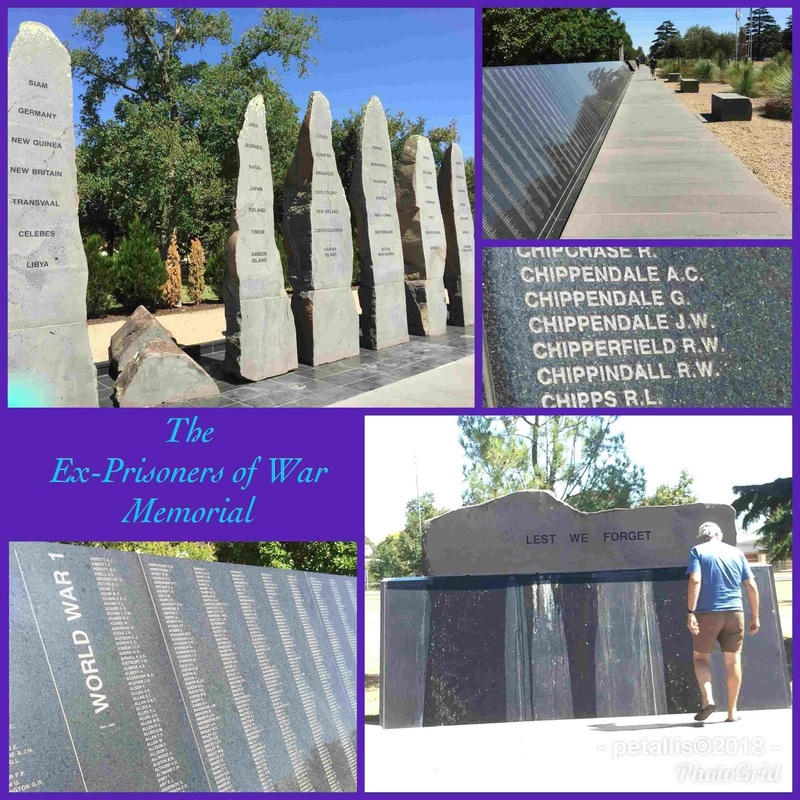 The pathway is made to look like railway sleepers and in the centre of the stone names is a large row of stone obelisks to act as sentinels overlooking the POW's forever. Each sentinel has the names of countries where the POW's were held. There is a fallen sentential to symbolise those that have fallen as POW's. A very visual and moving memorial. The Arch of Victory and Avenue of Honour are located not far from the Botanical Gardens. 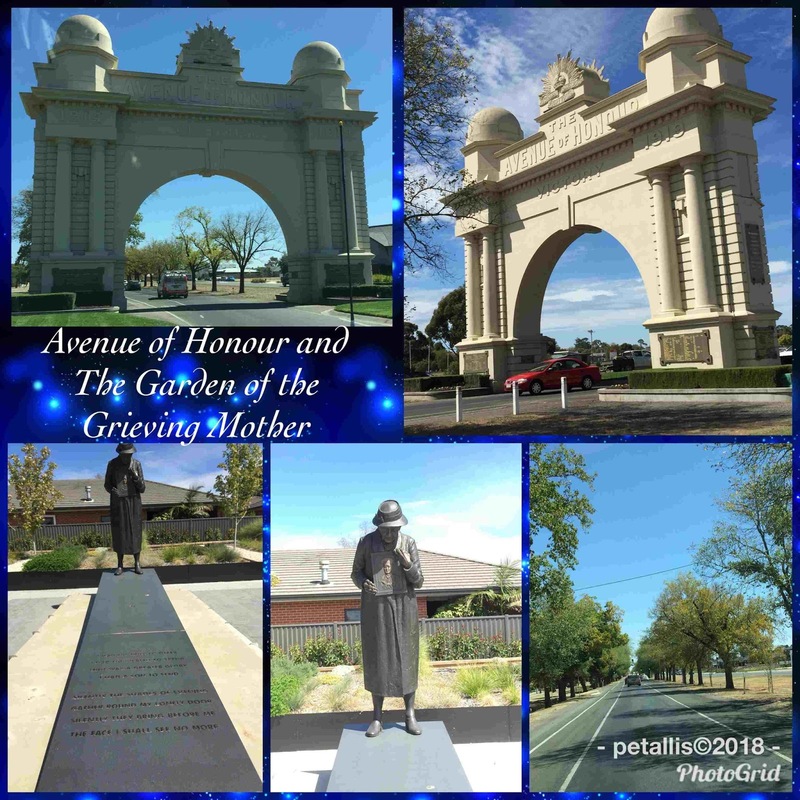 The Avenue is 22 kilometres long and is the longest commemorative avenue in Australia. It is located on the road to Burrembeet. The idea for the avenue came about in 1916 to honour those who enlisted in Ballarat to serve in WW1. Fund-raising and donations lead to 3771 trees being planted by 1919 – one for each local soldier, sailor, airman and nurse who served in WW1. Over the years other memorials have been added to the avenue as well as more trees. Bronze plaques have also been added with the names of servicemen. The Arch of Victory was officially opened by the Prince of Wales on 3 June 1920. It took only three months to build the grand entrance to the Avenue of Honour. It stands 17.4 metres high, and 19.5 metres wide. The Garden of the Grieving Mother is located to the left of the Arch of Victory. It is a new garden, officially opened in 2017 by Governor General Peter Cosgrove. It commemorates the mothers and families of those who lost loved ones in the war. Of the 3,801 servicemen and women honoured in the Avenue of Honour, 742 soldiers and 2 nurses gave their lives. Those that did return often suffered from physical and psychological wounds that also impacted on the families. The statue was created by sculptor Peter Corlett. The garden is still being improved and is a fitting memorial garden. 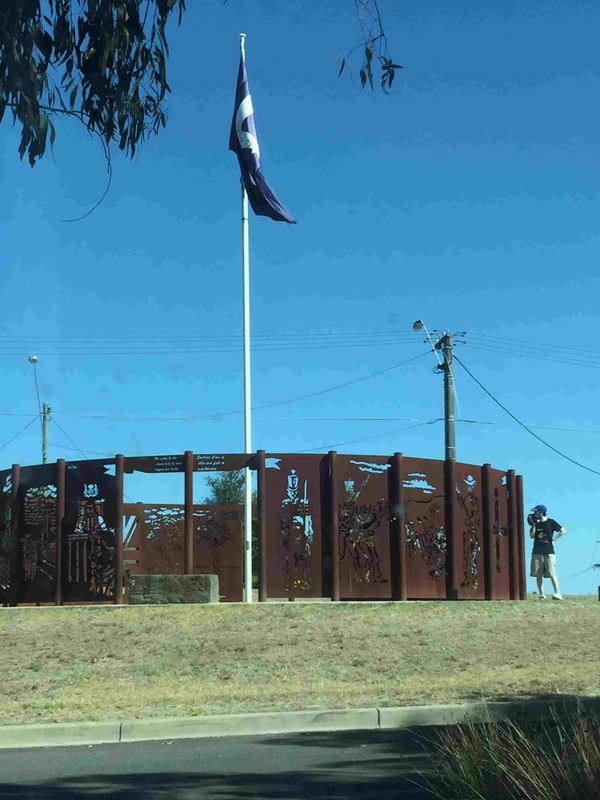 Other things to see in and around Ballarat include MADE – Museum of Australian Democracy at Eureka, is the home of the original Eureka Flag and is located on the site of the famous stockade. Cost is $12. 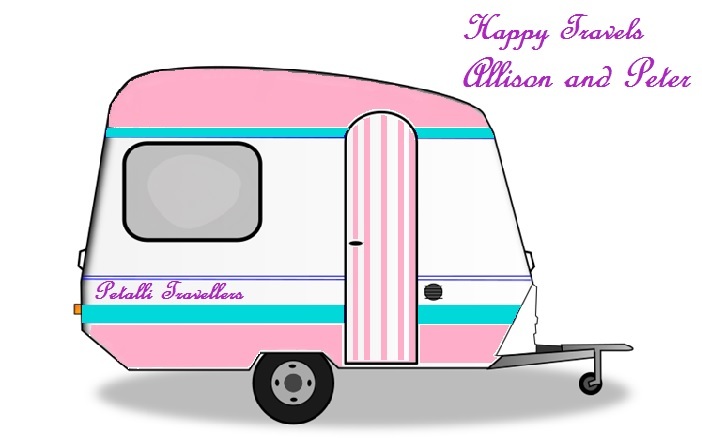 Did you know at the age of 60 years, Mark Twain visited Australia, including Ballarat in 1895. The weather turned windy a few nights, but the days were lovely. We went to the Smythesdale historic area markets, and then had a look at a few other historic features of the area: Scarsdale, Historic Bridge, and Jericho Historic Gold Mine.